Jane Marple is on holiday, staying in the luxurious Bertram’s Hotel in the heart of Piccadilly. From the grandeur of the rooms, to the impeccable service, surely nothing bad could ever happen at Bertram’s? Miss Marple’s previous outing to the Caribbean (A Caribbean Mystery) came about through the generosity of her nephew Raymond West and he came up trumps again, this time treating his beloved Aunt to a stay in London. The book garnered some highly favourable reviews although one from Brigid Brophy in New Statesman complained that the author offered nothing like enough signposts to give the reader a chance to beat Miss Marple or the police to the solution. 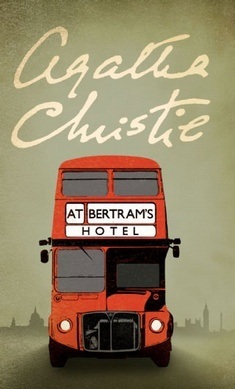 It has become part of Christie folklore that Bertram’s was modelled on Brown’s Hotel in London. Although there is no evidence to support such a claim, it is easy to see why many believe it to be true. Bertram’s Hotel is in many ways an additional character in the novel – warm and inviting, providing a safe backdrop to dangerous events.